If you are an apartment resident, you know the importance of making your space truly feel like a home. Your sanctuary, however, can be interrupted with the arrival of pests, such as ants, mice, or roaches. Whether you are currently dealing with some type of insect or vermin infestation or you just want to avoid one in the future, you will benefit from reading this guide. The next section showcases several great tips that will help you prevent pests in your apartment home. Food particles are one of the main things pests are attracted to. Even dirty dishes left in the sink overnight or crumbs that fall onto the counter can lead to a pest problem. The cleaner you keep your kitchen, the less likely you are to have a rodent or insect infestation. Make sure you always do your dishes (or load your dishwasher) before you go to bed, wipe down countertops, and clean any spills immediately. This will go a long way toward preventing pests. Because apartment units are generally smaller than single-family homes, it tends to be easier for clutter to amass on tabletops and in closets, simply because there is nowhere else for it to go. In order to avoid pests, however, you need to eliminate clutter from your living area. Stacks of papers, piles of clothes, and even bunched up linens can all serve as nests for mice and bugs. The more organized you keep your apartment, the less likely it is that you will ever experience a pest problem. Because the hallway outside of your apartment door is a common space, it’s important to pay attention to how clean it is kept. If, for example, you notice that someone in your hall regularly leaves bags of trash outside the door before taking them outside to the dumpster, you might want to speak to management. Things like this can ultimately lead to pest problems for everyone who resides in the immediate vicinity. This tip is especially important if you live on the ground floor of your apartment building. Periodically, spray the bug spray of your choice (there are many non-toxic choices available now) along your baseboards, around your windows, and under your doors. This is a good way to prevent unwanted pests from entering your home. Contact Absolut Pest control today! If you already have a pest problem, call your apartment’s management office first to find out if they will take care of the issue. If you are on your own, give a reliable pest prevention company a call. As wintertime approaches, all of the pests that made their home in your backyard or neighborhood all spring, summer, and fall will be looking for someplace warmer to go. If you aren’t careful, that could be your home! Check out our list to learn about the most common wintertime pests, and why it’s important to deal with them sooner than later! Any homeowner with a chimney can attest to this; if you don’t put a chimney cap on it, you will most certainly have a bat or bird in the house at some point. Bats and birds, both warm-blooded animals, will try to squeeze into any nook or cranny in your home to stay warm in the winter time. It could be your chimney or attic, but it could also be inside a mounted exterior light. Be sure that your roof area is sealed to keep these flying pests out. Probably the most common wintertime pest, mice and rats need a minuscule opening to find their way into your home. Just as with bats and birds, it is important to prevent these pests from coming into your home by blocking off potential points of entry. If they have already managed to find their way inside, then your best bet, short of hiring an exterminator, is to make sure all food and water is stored securely. If they cannot find a consistent food source, they may move on from your home. Just like Mice and Rats, Squirrels and Chipmunks will look for a warm, dry place to go in the winter time and that may just be your attic. While chipmunks tend to build underground nests, if they can find a way into your attic, they will most certainly take a warm, convenient option instead of digging a burrow. Be sure to cap your chimneys, check your fascia boards and rakes for any structural damage, and clear away any large shrubs or branches from near your home. This will discourage the pests from taking up residence. These pests, in addition to a variety of bugs, like fleas or bedbugs, should be dealt with as soon as they are discovered. All of these pests can carry diseases and, in the case of rats and mice, are likely to leave a mess in your home from digging through your cabinets and leaving behind droppings. You should attempt to deal with a pest problem as soon as its discovered, as leaving it for another day could leave you with an infestation. That is why you should contact Absolut Pest Control today for more information about us and our available services. As the summer starts to wind down and the colder weather begins to roll in, you may start to notice that the bees surrounding your home have started to find their way inside. Many worker bees are out in large numbers in desperate search of a place to call home for the winter. Despite this, many will eventually fall victim to the cold and die. But this is not true for every bee. Many individuals, including the queen, will find a place to shelter them for the winter. A common place for this to happen is inside of residential homes, specifically the attic. If homeowners do not take preventive measures a queen be can make herself at home in this upper level of your home. Similar to the inside of a hollow tree, the devoid areas inside of your home’s walls are the perfect site for bees to set up shop. This nesting site does not have to be near the entrance point either as nests are often found a ways away from where the insects enter the wall. Individuals who believe they be in this situation want to handle the issue before it becomes a serious problem. This is because the longer you wait to take care of the problem, the more defensive the bees will become as they get progressively more used to their new home, leading to heightened chances of stinging accidents. The best route to take if you find yourself in this situation is to contact a professional like those at Absolut Pest Control. Although salvaging some colonies is not realistic, quite often professionals with the experience and know how can safely transport a bee colony from your home to somewhere they will thrive without the chance of disturbing other humans. It is important that you understand any cleanup or repair needs that will follow the removal process as well. If you find that it is not possible for a professional to safetly remove the bees from the premises then the recommended course of action is to exterminate the colony. This is generally recommended if the hives are too close to everyday activity as it can quickly become a problem for those around the house. Contact Absolut Pest Control For All of Your Bee Control Needs! If you are having trouble with bees inside of your home this Fall, be sure to contact the professionals at Absolut Pest Control! We will be sure to take care of any problems you have regarding bees once and for all, reach out today! Just like other cities around the world, Boston is home to an increasingly large number of rats and mice. These animals are constantly on the search for food which leads them inside buildings on a regular basis. This is made possible thanks to their ability to squeeze through incredibly tiny holes that homeowners often overlook due to their small size. For this reason, it is important to keep indoor clutter to a minimum so that rodents and their entryways can be easily identified. 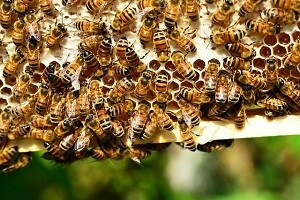 In terms of identifying an infestation, Bees are one of the easiest to address. The reason for this is that not only are they found in large numbers but they also are quite noisy and often simple to spot. 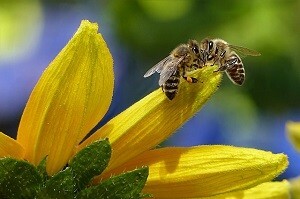 Many species of bees will actually make their nests inside the walls of your home or even inside an attic or basement. Contact Aboslut Pest Control today for all of your pest removal needs! Here at Absolut Pest Control, our specialists can help you prepare your home this fall by making sure that it is pest free. Take care of your pest problem today by calling the professionals Absolut Pest Control at 978-388-4589! Since Winter has officially arrived, temperatures will start dropping which will lead to all kinds of rodents scurrying somewhere to keep warm. With a house being the perfect target for rodents looking to keep warm, it’s important that you take the right steps to prevent that from happening. Inspect all the doors and windows in your home. Look for any cracks, crevices, gaps, and tiny openings that mice or rats could enter through. To prevent rodents from entering your home make sure you fill any cracks, gaps and holes in windows and around your home to keep out unwanted guests. With your trash cans, make sure the trash lids are secured tightly to help prevent rodents from reaching the contents. Also, when your trash is outside, keep it far away from any windows or doors that lead into your home. Clean your home regularly, make sure you wipe down your counters, vacuum regularly, and alway put your dishes away in the cabinets. Make sure you inspect your pipes for leaking in areas like the garage, attic, or basement where moisture gathers. Pests like flies, roaches, moths, and rats are drawn to humid or wet areas. Trim any tree limbs close to your home to prevent any rodents, especially rats from climbing into the upper areas of your home. If you need any rodent control for your home, contact Absolut Pest Control today at 978.388.4589 or fill out our contact form! Summer is a great time of year to spend with your family and friends outdoors, however, the summer is also a peak time for the annual bug and pest emerge. Throughout the United States, the main pest and bugs that appear more during the summer months are ants, mosquitoes, bees, wasps, and bats. Ants can enter homes through the small cracks and they always go for any kind of sweet, greasy or protein-based food. You will want to make sure that all your floors and counters are always clean and remember to put away all food! With viruses like West Nile and Zika being carried by mosquitoes, it’s important to always be prepared with EPA-approved insect repellent. Also since the main biting for mosquitoes is dawn and dusk, try to have your arms and legs fully covered when outside! If stung by a bee or wasp, most people can have some sort of severe reaction to them. Make sure to constantly track and monitor any nests that could be growing around your home. If you do encounter a bee or wasp, make sure you act calmly around them because it can be dangerous if you disturb them. Bats become more and more common over the summer, especially in August. If you found a bat in your home you should never bats should never be handled them at any time. Your best option is to contact a professional to help take care of the problem. If you have any problem with any of these types of pest over the summer, contact Absolut Pest Control at 978.388.4589 or fill out our contact form! There has been a rise in a recent virus that spreads to people mainly after they have been bitten by an infected Aedes species mosquito. The Zika Virus is in the same family of other viruses like West Nile, Dengue, Yellow Fever, and Japanese Encephalitis. This virus has been reported in Africa, the United States, Asia and the Pacific Islands.